We are celebrating the 2019 award-winning season by giving away a TCL 6-series TV to one lucky winner. This giveaway ends Feb. 25, 2019. It’s award season and to commemorate Hollywood’s biggest night we are joining forces with ET Live and CNET to bring you the chance to win* a brand new 65-inch 4K TCL 6-series and a $200 gift card for Fandango so you don’t miss any of the most anticipated movie features of 2019! Imagine all the binge-watching you could do with your brand new TV? The foodie in you would not want to miss these Best Cooking Shows on Netflix! This Roku TV won the Editors’ Choice award for July 2018 and CNET’s review highlights the superb picture quality, the simplicity, and convenience of the Roku smart system and the best TV value ever reviewed. To enter this giveaway you just have to fill out the form below after reading the official rules and accept the terms and conditions. You also have the option to get extra entries by completing actions to follow us on social channels, downloading our apps or sharing the unique link you get after signing up with your friends. Each friend that registers to the giveaway will get you 20 extra entries! Don’t be shy and head to our comment section to let us know what is your favorite cooking show to watch or if you are rooting for Black Panther, Bohemian Rhapsody, Roma or any other of the movies nominated for best picture this year. You can check the complete list right here. Good luck! Be honest. How often do you actually use your Bundt pan? It certainly turns out beautiful cakes, but you can’t eat dessert all the time. Luckily, just like your Instant Pot and stand mixer, Bundt pans are good for more than one thing—so break yours out, dust it off, and put it to work more often. 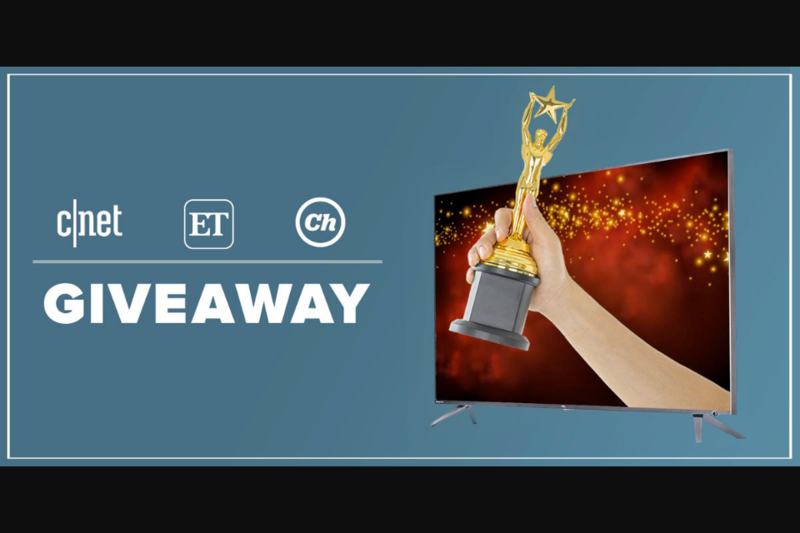 Cbs Interactive - Cnet & Et Movie Awards Giveaway Sweepstakes Win Free Stuff Win of one TCL 65" CLASS 6-SERIES 4K UHD DOLBY VISION HDR ROKU SMART TV (65R617) and one $200 Fandango Gift Card.